At present our artists are writers, theatre practitioners and illustrators. 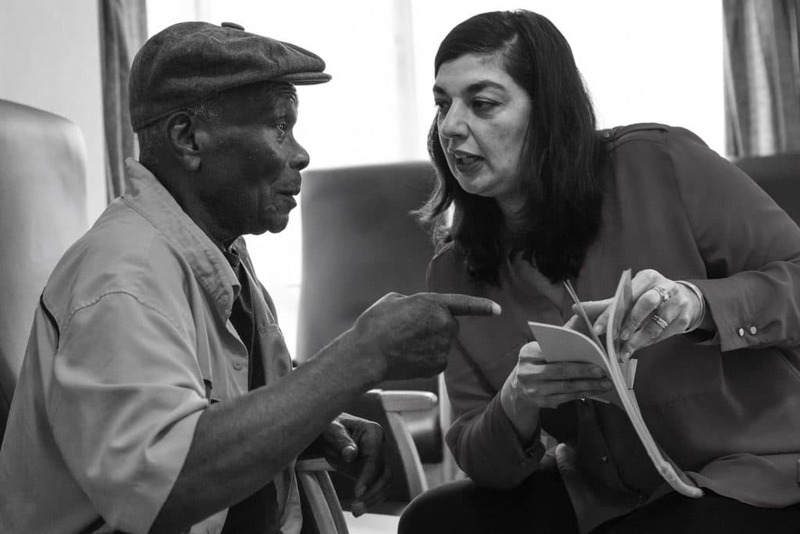 Through training, the Living Words artist is enabled to employ their creative skills in a practical way - using their artistic process to enrich the process of working with individuals experiencing a dementia and care home staff. Individual artists are given opportunities to reflect on their work with Living Words residencies through their distinct art-form and practice. Through our enquiry driven process each artist trains in Living Words listen-out-loud methodology to be able to work on Living Words residencies in care homes. Our process includes ongoing and consistent reflective practice. The success of the process is based on the connection between artist and participant, in a process of co-creativity and mutual learning. I learn so much from this work - the investigation, experience and rigorous thought that have gone into developing the methodology. How empowering to have my skills as an artist valued and put to practical use. I benefit greatly from the insight I gain from the work and the people I work with. Recently I’ve noticed that it has enriched my poetry and the way in which I teach and listen.